My neighbours have started and signed with a Realtor® to have our block as part of a land assembly. What should I do if I don’t want to join in? Land assemblies are not all the same size. Sometimes, a land assembly can happen with two or three adjacent homes on the same block. It can happen with the entire block as well. It can also happen with only one very large piece of land. I have also seen land assembly projects where developers go around a single property. There are many homes like this wherein, for whatever reason, the home owner just did not want to sell. Around the singleton home, a developer has gone ahead and built a row townhome, high or mid-rise project. Land assemblies are not for everyone as many home owners on the same block are likely to have different timelines, objectives and have different financial status. You may have just recently renovated substantially or built a new home on your property. I have recently heard of newer homes that were built with the abilitly to be physically moved off site! 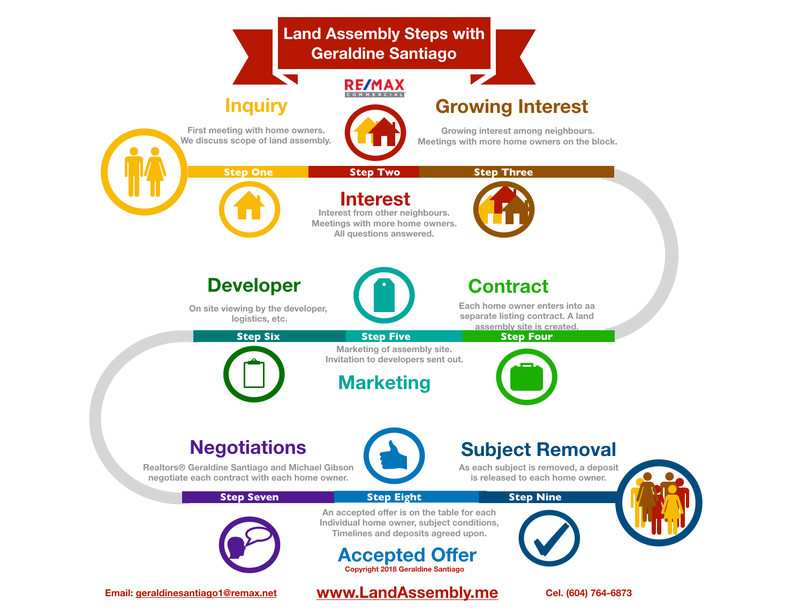 When it comes to dollars and cents, selling your home as a land assembly typically can get home owners more money than if they were to sell it on their own as a single purchase.